The son of a doctor and a nurse, Peter Ogura grew up in suburban St Louis, Missouri. "It was a Leave it to Beaver kind of childhood," he says. "We were big patrons of the St Louis County Library." After high school, he headed west to Colorado College, where he changed his major from English to poly sci. "I came out to Eugene for a couple of weeks in 1975," he says, "to visit friends from home." He continued westward to San Francisco for law school at USF. "It was there that I got into reading fiction," he says. "The Bay Area had so many great independent book stores." Ogura finished law school, worked three years for legal publisher Bancroft-Whitney, then left the big city behind in favor of a move to Eugene. Two years later, in November of 1992, he opened his own tiny 900-square-foot independent book store, Black Sun Books, named for the novel by Edward Abbey. 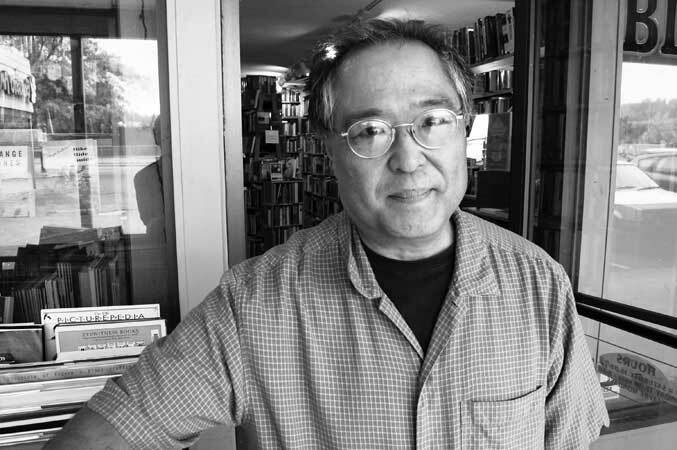 "It was his own personal favorite," says Ogura, who built the shelves and assembled a start-up inventory of used books mostly, "but the only one that's no longer in print." After 22 years, the store's stock now tends towards half and half, new and used. "It has evolved organically," he says. "This is a literate neighborhood. European and eastern philosophy, poetry, and foreign lit in translation are well represented. In a bookstore, you'll encounter the book you didn't know you wanted to read." You'll encounter Black Sun at 2467 Hilyard St.